If you’re wanting to get into routing but haven’t the slightest clue on basic woodworking, you may be looking for some resources. Luckily, we live in an age where information is widely available at the tips of your fingers and those with skills are almost always willing to teach newcomers. 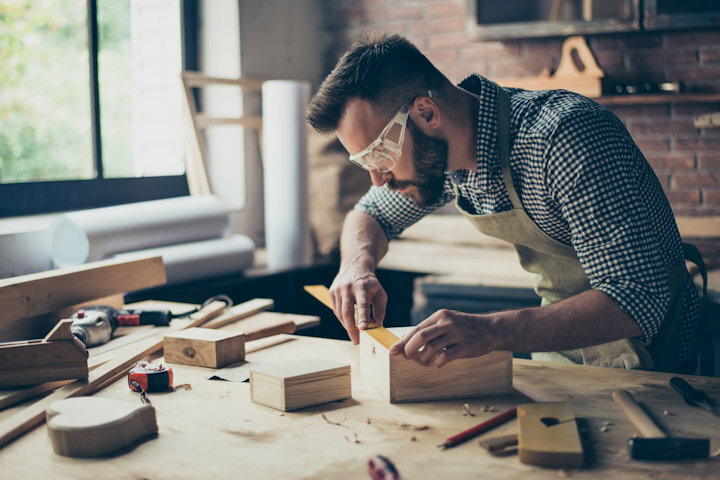 Whether you learn best in a hands-on setting or from the privacy of your own home, woodworking skills are something you can get your hands on in no time. One of the easiest places to start learning the fundamental basics of woodworking is online. Many magazines dedicated to the craft make articles free online for a period of time or offer online subscriptions – including access to their archives – for a small fee. Your library card may also have digital issues available or a section of ebooks that you can borrow for free, plenty of which focus on the art and craft of woodworking. If reading doesn’t help you learn and you need a digital demonstration, you can also peruse YouTube or sites that focus on teaching like SkillShare or Craftsy. While YouTube videos are created by everyday folks and there’s little or no vetting for safety or veracity, SkillShare and Craftsy (which both require a fee to access) carefully curate their content. When looking to connect with others or get opinions on tools, techniques or places to start, online gathering places like routerforums.com or woodworkingtalk.com can be of use. Your local library is a wealth of knowledge if you’re just starting out and want to learn the basics of woodworking. A good beginner-level book can teach you a lot, and many libraries have activities for beginners that can help you get some hands-on experience – and if they don’t, many will happily take requests for the type of programs you’d like to see at your local branch. Your area hardware store, craft store, makerspace, university extension office or tool lending library may also offer beginning woodworking classes to get you some practice time under your belt before committing to the hobby or that allow you try out new tools, techniques, and materials under the watchful eye of a knowledgeable instructor. Call around to see what your local area has to offer or browse the events section of your local newspaper to see what’s coming up. If you learn best by being shown how to do something, seek out a local mentor or tutor who’s willing to teach you the ins and outs of routing or woodworking in general. Seek out those willing by browsing classified ads – both in the paper and online on sites like Craigslist.com – or place one of your own! Call around to your local hardware stores, craft stores or even organizations that teach these skills like Habitat for Humanity to seek out someone willing to teach you the knowledge, either as a barter for one of your skills, as a trade for the time put in on one of their projects or for a reasonable fee. No matter how you learn best, there are a multitude of resources available for learning and brushing up on your woodworking skills. From user-generated content like routerforums.com or YouTube to online learning opportunities like Skillshare or Craftsy to tried and true resources like the library or classes held by your local hardware store or university extension office, the knowledge is there for the taking. All you have to do is find it.